I was interviewed on Boston's BDCRadio by Julie Kramer and Henry Santoro on the eleven-year anniversary of the September 11th attacks. We discussed my experience from that day and my forthcoming book. You may be wondering why I call this my lucky ticket from 9/11. 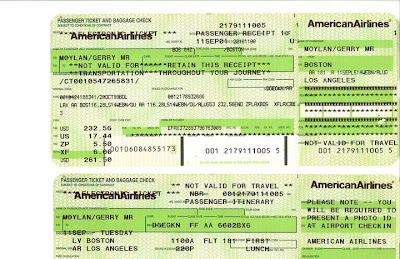 This is actually a scan of my ticket receipt from September 11, 2001. 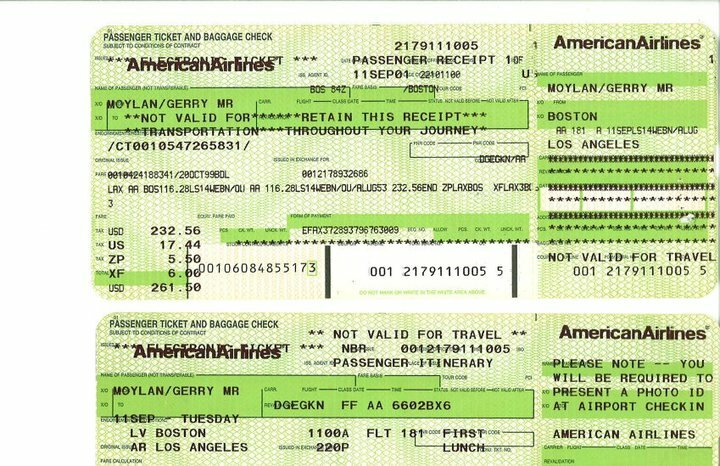 Up until the day before 9/11, I actually had been booked on American Airlines Flight 11, the plane that was flown into the north tower of the World Trade Center. Through a set of seemingly simple circumstances, however, I changed flights late in the afternoon on September 10th. I'm seeking representation for my Memoir manuscript. Give me a Tweet! Gerry Moylan graduated from the University of Massachusetts, Dartmouth, with a BA in English Literature & Criticism. 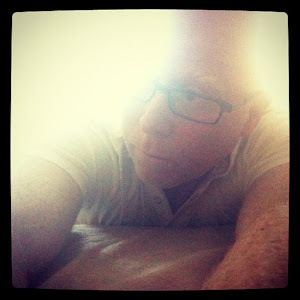 A member of the Greater Los Angeles Writers Society (GLAWS), he's written for various media and spent most of the eighties working as a rock & roll radio disc jockey. Currently, he lives in Los Angeles with his partner and their Beagle. Writing by Gerard Moylan is licensed under a Creative Commons Attribution-NonCommercial-NoDerivs 3.0 Unported License. Copyright 2012, Gerard Moylan. All Rights Reserved. Picture Window theme. Theme images by andynwt. Powered by Blogger.